Happy Birthday! B&T Cake for all! 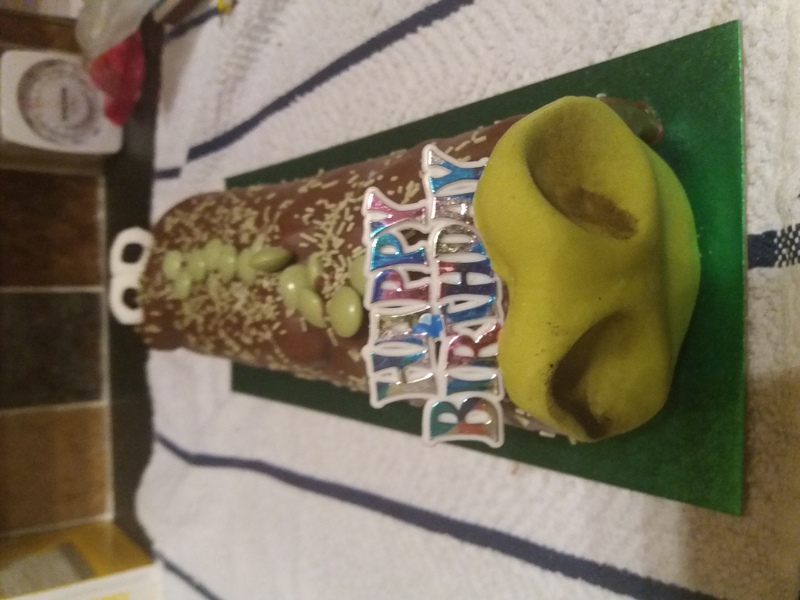 This years cake was a crocodile! "Never smile at a Crocodile"..
.. But what if the croc is a cake!?! Do I smile at it, now?!!?? How can I NOT smile at cake!? Happy birthday Neil, hope you're enjoying yourself. Happy Cakeday - and what a cake!!! !